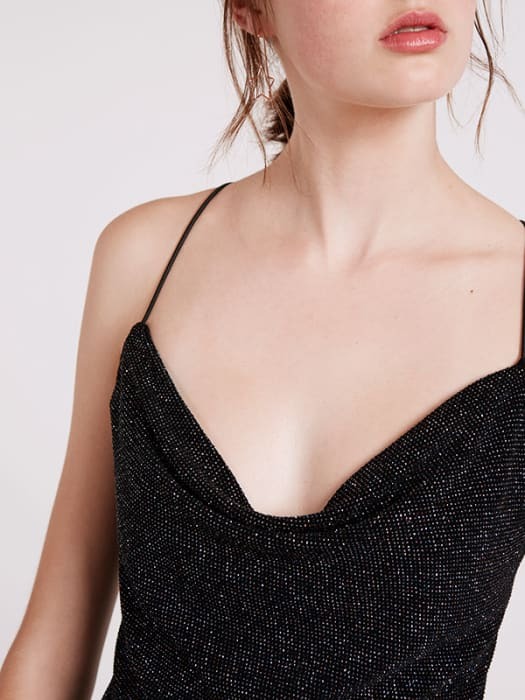 Allow us to introduce you to the ultimate glittery party dress. 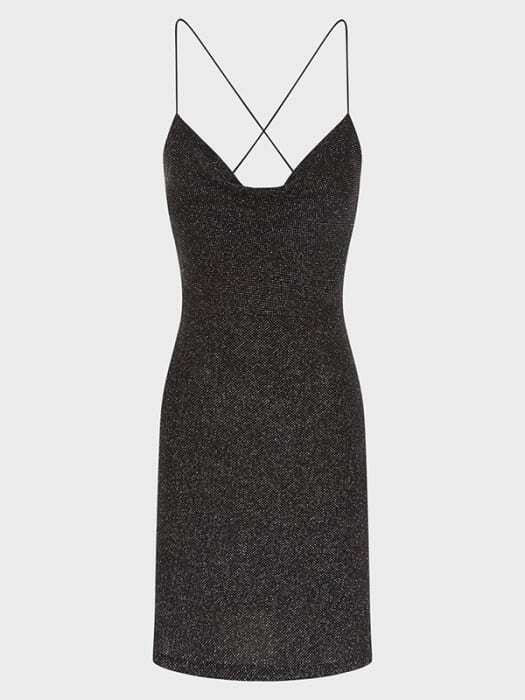 It's super slinky but the cowl neckline and cross back keep it chic. Stay casual with boots and tights, or dress it up to the max with sheer cheekbones and your highest heels.